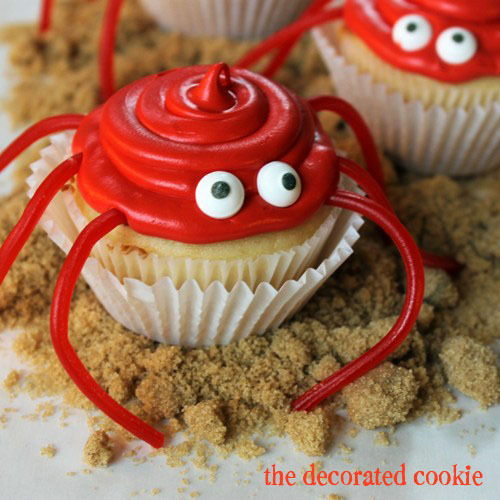 Don't Be Crabby With These Cupcakes! Fun summertime cupcakes made by The Decorated Cookie. 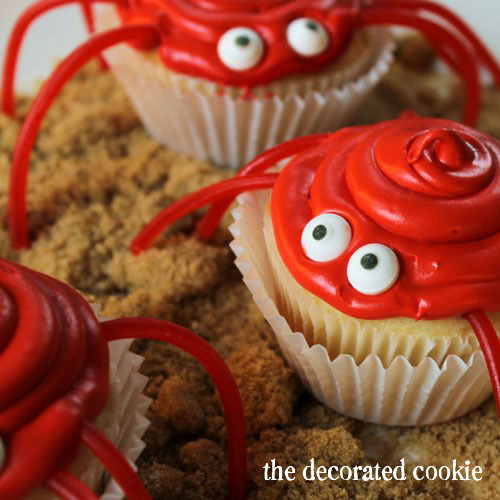 The crab cupcakes are colorful and easy to make. All you need is Twizzlers, candy eyes and red frosting. Read the full blog post on The Decorated Cookie.